Guests at the Lodges enjoy access to Lake Placid Resort Beach on Mirror Lake Drive, a public beach, adjacent to the Lodges. 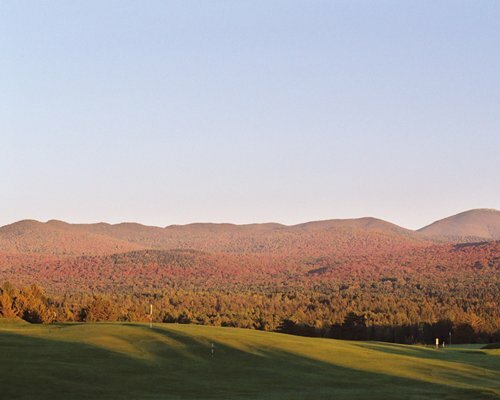 Guests also get discounts for Mountain Course golfing as well as horseback riding at Emerald Springs Ranch and tickets for Whiteface Mountain, free use of the Lake Placid Resort Tennis Complex, and access to the Cross-Country Ski Center and Lake Placid Health and Fitness Center at no extra charge. The fitness center also has a cozy lounge with fireplace, and pro shop. 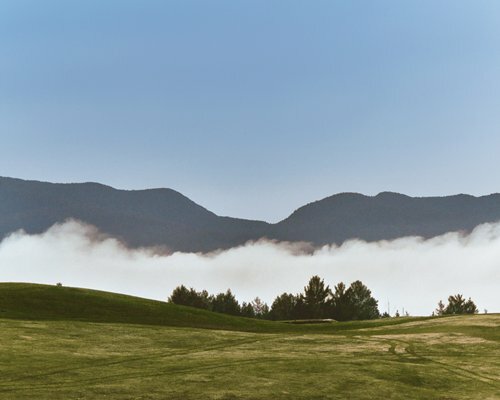 Enjoy golf course, mountain or lake views, or easy access to walking to town from your lodge accommodations. 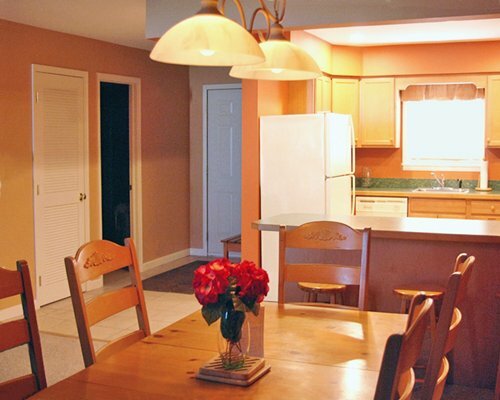 The nonsmoking units are newly updated with furnishings and sleep up to 6 guests. 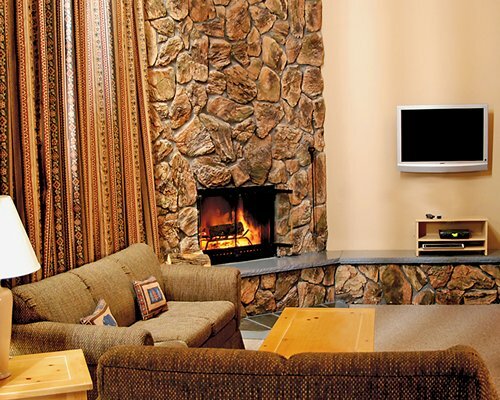 Lodges include a large living room with wood burning fireplace, full kitchen, large Jacuzzi tub, sauna, and two decks, and include HDTV and WiFi. FROM ADIRONDACK AIRPORT IN SARANAC LAKE: follow Route 86 to Lake Placid (approx 15 miles). 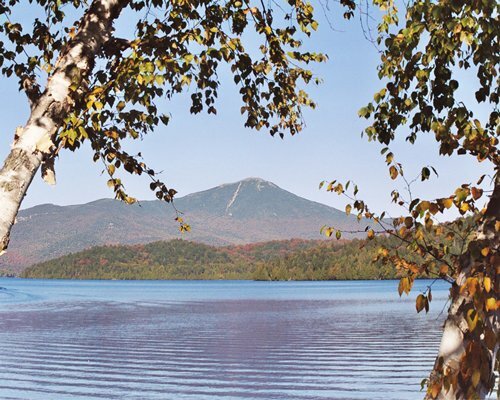 Once in Lake Placid, take left at third traffic light. Go straight up the hill to the stop sign. Turn left. 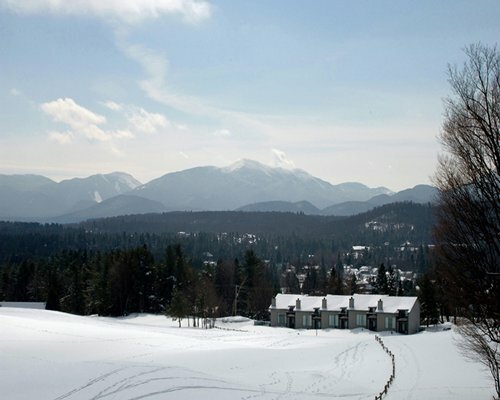 Check- in is at the Algonquin Lodge which is on the left. FROM ALBANY: North on I87 to Exit 30. Left off ramp (Route 9) 2 miles to Route 73 for 26 miles to Lake Placid. Left at the first traffic light; right just before Mobil station onto Mirror Lake Drive. Right at entrance to Lake Placid Club through the gatehouse. Check-in at Algonquin Lodge on your right. Park in rear of Lodge. 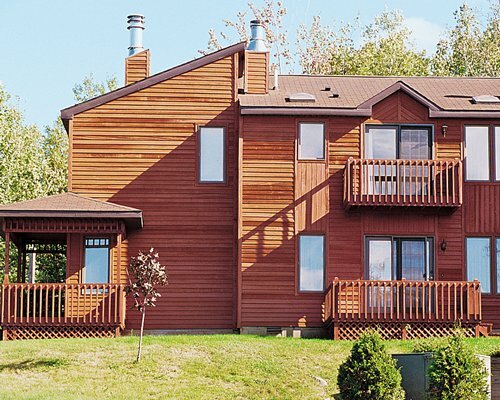 Resort approximately 140 miles from Albany. Monday- Thursday: 8:00am -6:00pm, Friday-Sunday: 8:00am - 8:00pm.